MyClubmoor have shared an article about their ‘Remember More’ Remembrance event in November. 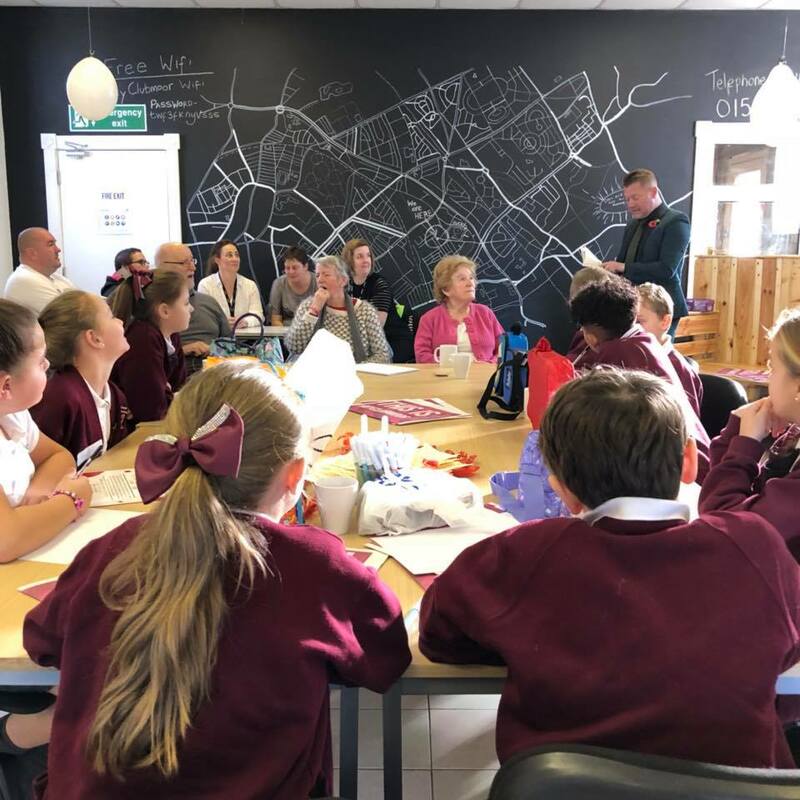 “We recently took two of our older members from the Good Neighbour Project into Broad Square Primary school to talk about their experiences during the war. The kids asked amazing astute and brutally honest questions. We set the 60 children the task to write letters home as if they were soldiers away or children evacuated from the city. Two weeks later we returned to the school and took all the letters from the children, several people read theirs out aloud. We decorated the MyClubmoor Community Hub window with all the letters and twelve children were picked as ambassadors to attend the ‘Remember More’ day and present their work. The Liverpool Adult Learning Service‘s Digi Bus was also outside the Community Hub all day.